It's that time of year when everything starts happening all at once and the shops start advertising for their Christmas sales. "But it's only October" is the resounding reply and we all outwardly groan and inwardly cheer. I mean c'mon - who doesn't like Christmas and New Years? More importantly, who doesn't like the holidays and presents that come with these festivities?! Unfortunately though, when you live in a city as amazing and as popular as Sydney it means that planning ahead is paramount! Sydney really is an incredible city and although I may be slightly bias it is fair to say that the Sydney Harbour Bridge and Sydney Opera House are two of the most instantly recognisable landmarks straddling what has to be one of the cleanest and nicest harbours in the world. So when these things sit centre stage for the New Years Eve Fireworks display it is little wonder everyone wants to get a glimpse of the action. 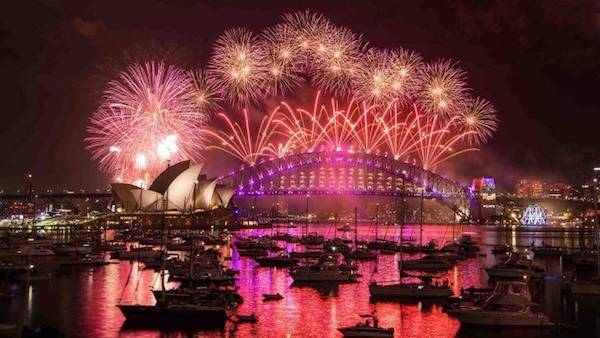 And the best place to get a glimpse of the action is always the front and centre, and when it comes to the Sydney New Years Eve fireworks show glimpses of the action don't come much more front and centre than from the comfort of a chartered boat. 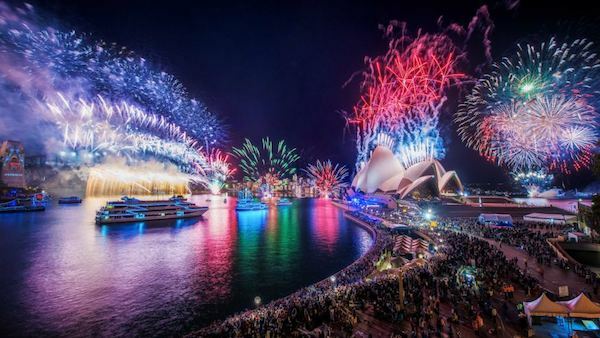 With that in mind, and because we know not everyone is in the same financial boat (apologies for the pun) we decided to take a look at the 5 cheapest options for those with more than 30 in their party who are looking to charter a new years eve cruise. More Than 30 of You? Here are 5 Options for the Budget Conscious. 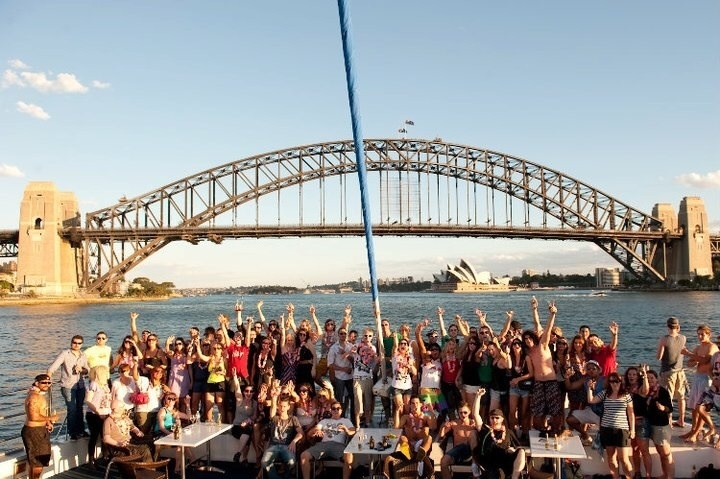 Cruise Cat would have to be one of the hardest working charter boats on Sydney Harbour as it is popular with groups of all sizes (over 30 people)from all walks of life. Booked out most of the year for Bachelor and Hens parties as well as corporate functions and birthday parties, The option for BYO with no extra charge and the large entertaining areas on each level make this a popular boat, especially come New Years Eve where the vessel affords everyone amazing views of the fireworks show. Cruise Cat has already been booked by one lucky group and as such is NOT AVAILABLE. 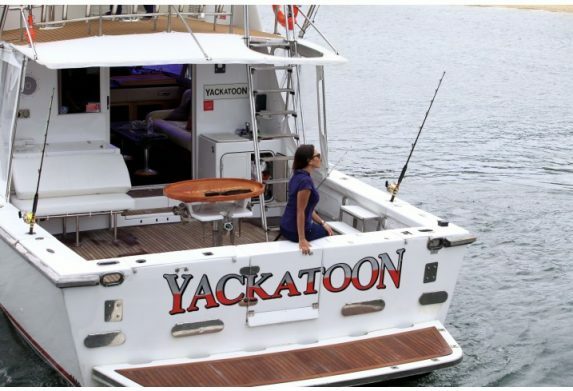 An excellent option for New Years eve due to its generous indoor and outdoor spaces, Yackatoon allows for full access to the night sky for all onboard. 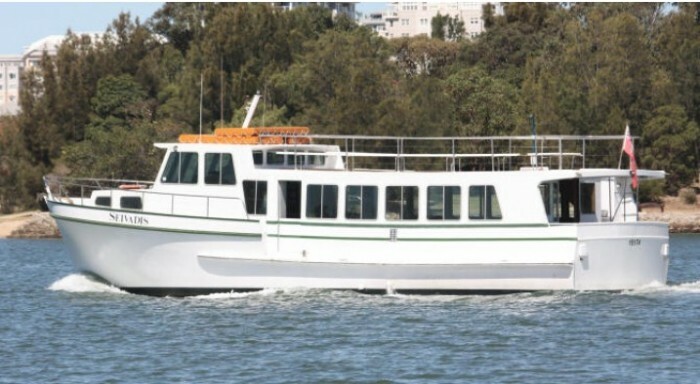 Harbour Cruises on yackatoon can have up to 34 people on board which makes great value boat hire when you look at the per head cost. Yackatoon has not been booked by one lucky group and as such is STILL AVAILABLE. We don't call Galene the Fantastic Value Function Boat for nothing! Galene is a fantastic boat for New Years Eve due to its large upper deck and viewing platform, allowing for uninterrupted views of the fireworks. The interior is very spacious and perfect for lavish banquets, informal gatherings or that special family occasion. Seating for 70 guests means no-one misses out, and with a mouth watering smorgasboard all prepared by our own top flight crew, you can be assured no one will go hungry either. Add a fully Licensed Bar and well stocked selection of Beers, Wines and Spirits and you have yourself a recipe for the perfect New Year Celebration for you and your party. YES! Due to popular demand we have opened Galene up for the ticketed New Years Eve revellers, meaning you don’t need to find 30 other lucky particpants… just grab the one or two that really matter and head on over to our New Years Eve Tickets page to secure your place today! 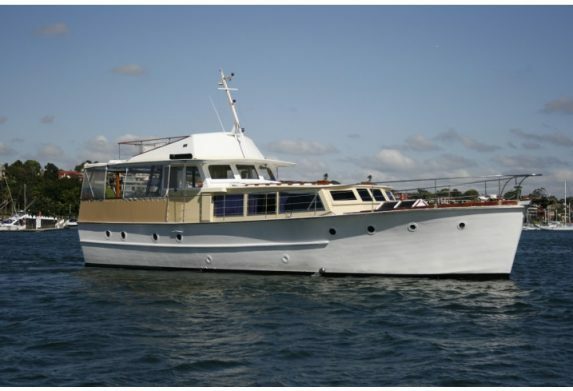 With a long history on Sydney Harbour, Janthe is 65ft of nostalgia and enjoyment. With room enough for up to 60 people to enjoy the sunshine in comfort, Janthe’s huge bow allows your whole group to enjot the fresh air and sunshine, with plenty of area undercover to escape the heat or rest your feet. Catering and full bar service is available and Menus include BBQ buffets, seafood buffet's, simple BBQ menus, finger food, or we can even arrange for our caterers to be on board preparing fresh canapés. BYO can also be arranged upon request. With all this space and flexibility Janthe really is a fantastic option for groups of over 30 and one of the cheapest options this 2015 New Years Eve. Janthe has not been booked by anyone at the time of writing this and as such is STILL AVAILABLE. Purchase Tickets Here. Rum runner – The Party Catamaran is a great choice for families and individuals alike, and when it comes to New Years Eve it is the perfect choice. Accommodating up to 47 guests and with ample room to enjoy the Fireworks it is no wonder she is affectionately known as the Party Catamaran. This year Rum Runner is a ticketed New Years option, meaning the potential for huge savings for you and your group. 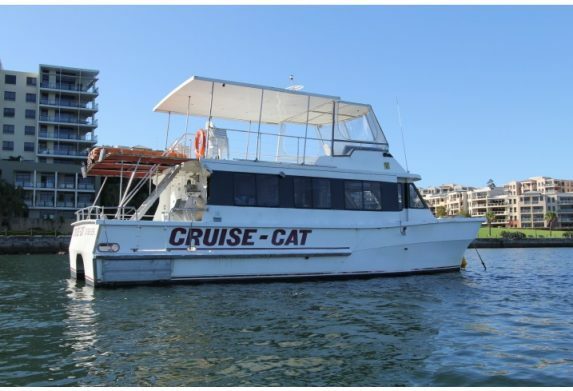 Perfect for couples or smaller groups you will soon see why Rum Runner is affectionately known as the Party Cat.